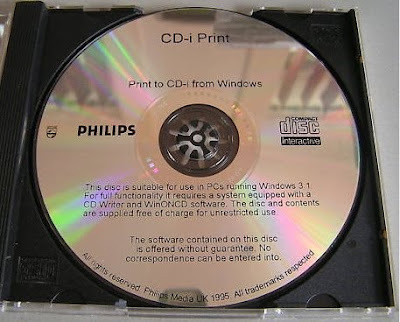 Interactive Dreams: Print to CD-i from Windows 3.1: What is this? "As far I know this one was never officialy released and was only for internal use. This CD-i disc comes from a retired product manager of Philips in The Netherlands an therefore Authentic. I took over a lot of them. Most of them are (very) rare. Sometimes even unique." Does anyone know what this it?